In this article, we’ll touch on life changes that can delay or derail closing – and what, if anything, an agent can do to prevent, foresee or simply live with these changes. Days before an anticipated closing, the seller must unexpectedly travel out of the country on business. Unless valid signatures can be obtained on time, closing will be delayed. With fraud becoming more problematic and signatures so easy to forge, are there acceptable ways to enable a closing to go forward? Power of Attorney (POA) – Some states allow a seller to give a POA to a designee, who may, at closing, sign documents relating to the transaction. POAs should be reviewed by the title company to confirm that they are acceptable for use in real estate transactions. Because POAs have limitations on their use, agents should be aware that some title companies will require that the Seller be available by phone or email on the day of closing to confirm that they are alive and well and to ratify the transaction. 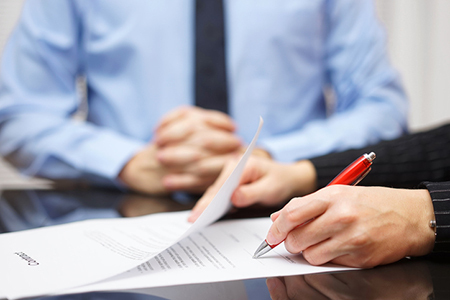 Notarized signatures – In some jurisdictions, signatures obtained before any English-speaking notary are acceptable. In these situations, an Apostille which is a certificate used to legalize a document notarized outside of the U.S. may be required when foreign notaries are used. Signatures may also be obtained by a notary at an American embassy – and sometimes, delivery of the notarized signatures must be sent via carrier service. Be sure to check with the title company for their notarization requirements. There also exists the possibility of an unexpected breakup occurring among the buyers or sellers. A change in marital status means a change in financial status, which may affect not just approval of a loan, but whether the home in question becomes part of legal proceedings. In certain states, the property can be sold or purchased during a legal separation or pending divorce case. Reaching out to the title company to confirm their requirements for a sale or purchase during a legal separation or divorce will help agents to navigate an otherwise contentious event. Smack in the midst of a real estate transaction, your buyer switches or loses their job. If he or she is moving from salary to commission, it could cause the lender to reconsider loan approval. But in most cases, a good credit score and a history of stability will keep the transaction on track.